Imagine how the warm rays of the spring sun penetrate through the window. Little birds chirping outside the window like squirrels, jumping from tree to tree and flowers begin to bloom. No, this is not a scene from Cinderella, but the first hints of spring. Spring changes the state of the soul from the old, to the new. 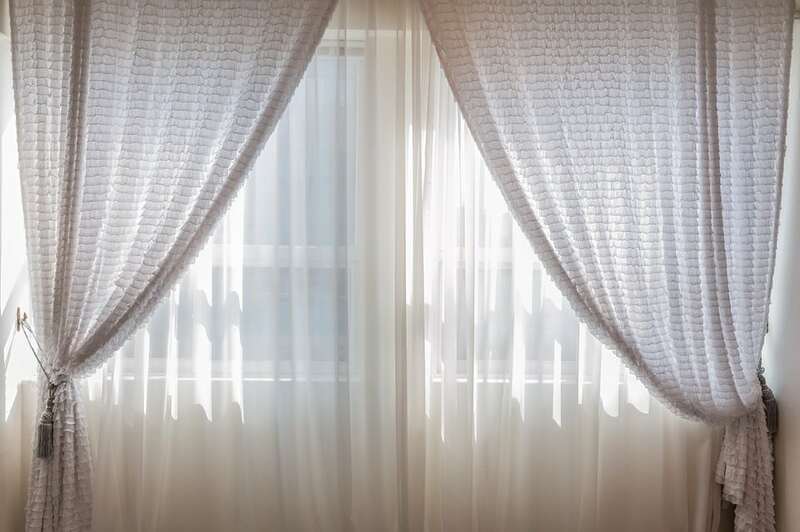 This is the time when it becomes warmer, the windows and doors open, the carpets get out, the dust is expelled from the house, the furniture is vacuumed, and the house is saturated with fresh and warm spring air. Spring cleaning, in fact, is not always a necessity, for some of us it is a way to say goodbye to the winter and to greet the warm months. When the first warm spring days are coming to visit, go around the house and open the windows and all the doors, open everything. Not only will the house appreciate this step, you will feel a surge of strength and cheerfulness of spirit. A fresh, warm spring air will wake up the senses and make cleaning easier. Walk through each room and take off the winter linens, blankets and bedspreads. Collect a bunch for washing, prepare everything you need and collect in one place (some washing machines just are not big enough). Begin by washing the sheets (for example, first colored) and finish washing with blankets. Instead of leaving the covers on the dryer, you can refresh them by hanging under a warm spring sun. Get the cotton bed linen, which you will use in the spring and summer months, fill the bed. Before you refill the bed, you can hang the linen in the fresh air so that it absorbs the smell of spring before it falls on the bed. If you do this, you will have time to vacuum the mattress. Collect all the detergents together and start from the top floor of the house, heading down. Vacuum and wipe the dust in each room, starting at the back of the room and moving towards the door. While you are wiping the dust, do not forget to collect the web, which can hang from the ceiling somewhere in the corner. When you vacuum, move the furniture so you can clean it and under it – be careful, you can be trapped by dusty rabbits. Another thing that you can do while cleaning each room is to collect and get rid of all the excess that you do not use and in fact you do not need. Removing old things, you will free up space for new ones. All floors that you can wash, you should wash. Use a pleasant fresh scent that will emphasize fresh smells from the outside. Spring cleaning is a very good time to make furniture and carpets a good dry cleaning. You can hire specialists for this job or rent a steam cleaner. If you are going to clean furniture and carpets yourself, be sure to read the instructions in order to get the best results. 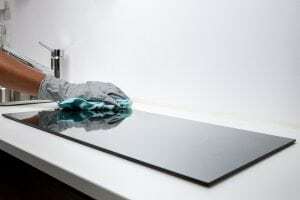 Of course, you will wipe the floor in the kitchen, but before doing this, enlist some help to move the stove and fridge and thoroughly wash the floors beneath them. Do a thorough cleaning inside the refrigerator and throw away all old food or products that have expired. There is no doubt that the oven was actively used during the festive period, get ready for serious work and do not forget to clean the cooker on the sides. 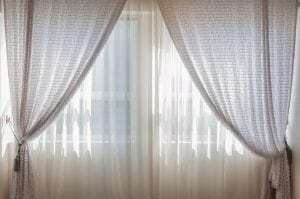 Remove the blinds and curtains, wash the blinds, wash the curtains, if possible. Dry them in the fresh air. 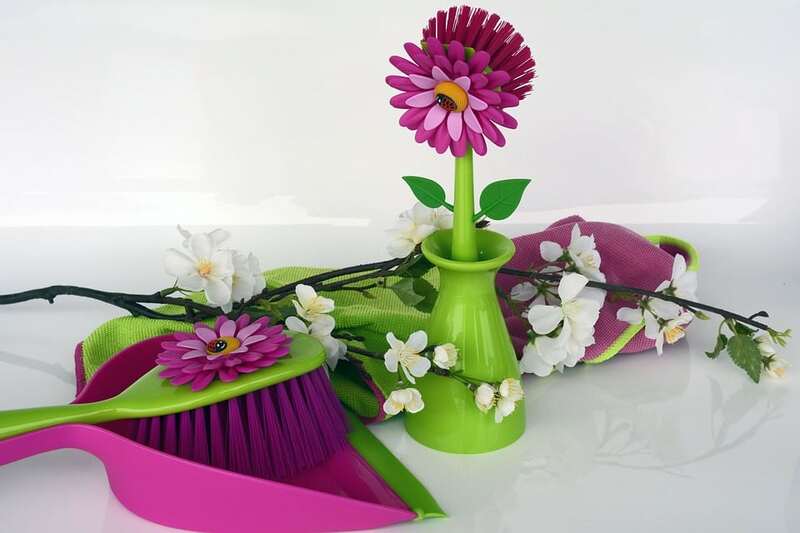 Spring cleaning is more than just a thorough complex cleaning in the apartment. Winter clothes need attention. You must clean the clothes, wash them whenever possible, dry clean, at worst, and then properly pack and ship for storage until the next season to release cabinets and rooms for summer clothes. You will not need a heavy winter sweater and warm pants, especially in a winter coat, you need demi season clothing. Before you hang new clothes and put it in boxes, check that it suits you and make sure that you still want to wear all the things. If they do not fit or you do not want to wear them anymore, give them, give them away or throw them away. And we will remind you again that this is a beautiful spring day, in which it makes sense to hang out clothes in the fresh air, before spreading out in their places. Spring cleaning is not necessarily labor for one. During the winter months, you could sum up and highlight the areas of the house that require special attention. By spring you can give your husband a list of cases that require his participation. 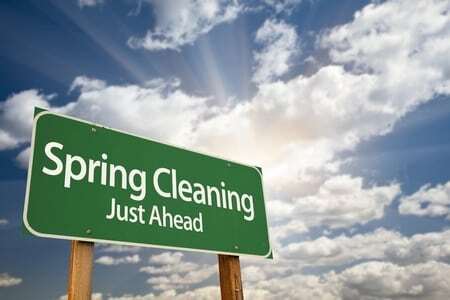 Spring cleaning will help you and the house to step into the warm season clean and fresh. After experiencing repair, look forward to life in the updated interior? We will tell you how to get rid of dust and stains and bring the room into a residential condition in a short time. Even if you decide to do without the help of cleaning professionals, we recommend that you buy or rent specialized equipment. A professional vacuum cleaner will help to cope with building dust on the floor, walls and ceiling faster and more efficiently. Of course, you can use it only on the surfaces provided for this, having pre-tested it on a small and subtle area. Hooray! You survived the repair! The worst is already behind and there was, it would seem, a trifle – to wash your new wonderful interior from a layer of construction dust and stains of various origins, that is, a spring cleaning. Looking around the debris of construction debris and wincing at the dust, you are horrified to imagine that it will take a very long time to put everything in order. We will not hide, the work is difficult, but we will help to ease your work! Do not trust cleaning companies-one-day – letting strangers into the house is dangerous. A professional company with a good reputation will be able to guarantee not only a quality work done, but also the safety of your things. Listen to the recommendations of friends and user reviews. Do not pursue cheapness! Initially, the attractive price promised to you can increase several times after the work is done unclean by the hand specialists. Describe in detail the specialist the front of the work and ask him to make an estimate. If you are determined to cope with the task yourself, listen to our advice. How can I cope with cleaning the room after repair? First you need to take out all that is superfluous. Fold the large garbage into bags and take it out into the street. If it turns out to be too much, you will have to take it to the nearest landfill. Then collect less garbage and sweep the floor. Vacuum the surfaces. If you have the opportunity, use a construction vacuum cleaner – it is much more powerful and faster to cope with the task. Corrosive construction dust could settle even on the ceiling and walls, so start vacuuming from above, moving down the walls, and finishing cleaning the floor. Do not forget to vacuum the corners and the skirtings. With the help of cleaning and detergents, make a damp cleaning of the room, starting with the walls, cornices and windows and ending with the floor. Even if the soft furniture has been carefully concealed, it should be carefully cleaned using a vacuum cleaner, a cleaning agent or a soap solution. With a successful scenario, cleaning the apartment will be completed. But, unfortunately, except for dust and debris, after repairs there will probably remain stains from paint, plaster and the like. How to get rid of stains left after repair? Before you start cleaning, test the cleaning agents and recipes you have selected on a small and subtle area of ​​the surface to avoid damage. When working with cleaning agents and solutions, do not forget to wear rubber gloves. Traces of construction foam can be removed with a knife or special solvent. Dust and dirt from the windows can be removed with water with the addition of washing soda, and then wipe dry with newspapers. Oil stains will disappear without a trace if rubbed with turpentine or powder with enzymes. Traces of scotch can be removed with sunflower oil or a liquid containing acetone. That’s all! Now you can arrange furniture, distribute things to places and enjoy your improved home! It’s like taking on an army. Like setting up a major battle with banners waving, trumpets blaring, and troops on the line. It’s the Spring cleaning, home cleaning time of year and it doesn’t have to be a major series of chores, but instead a fun time to get the family and maybe even friends to pitch in and see what wonders can be done. Like any major military campaign, the enemy has to be identified. The enemy’s names are dirt, dust, clutter, refuse, and junk. Together they form a formidable advance series of antagonists only clear planning and diligence can overcome. You need to take the General’s spot. Have the area surveyed and then make estimations on how much time and how much in materials you need to use. Budget wisely and use today’s online venues to actually profit from Spring cleaning and home cleaning. How can one profit from cleaning the home? Well sit right back and watch. First of all, after you’ve done your assessment, delegate the various jobs to the family members. If there’s really a lot to do like outside work from winter’s storms, then you might hire neighborhood kids, or people in town that you know. Hold a pancake or spaghetti chow down and toss them some dollars. It will get the job done right and you won’t end up losing time and more. Look at the big items, if any, and plan on their storage. If people will be stopping by to pick up or buy from a yard sale, you’ll need plastic tarps and such to protect them. Sometimes that old dresser, and other larger items can go fast at a yard sale instead of selling them on Ebay. That’s the profit right there, Ebay. Your primary goal is to clean the house but sometimes there are so many goodies to be found collecting dust that just itemizing them and putting them up for sale on Ebay can net a good penny or more. Waste not, want not, is the old adage here. Even though you’re enthusiastic with your team to clean, use safe products. Get new sponges and cloths and try to use products that won’t damage the paint, wood and other area. You want to get rid of the old crud and make way for the new. A good scrubbing here and there with a bit of elbow grease and you’ll have the place shiny as a new penny. Once you’ve done the major part of the work, now comes the details. Double check window sills and other areas for sneaky bits of dirt and grime and insects. At this point you should be able to see how much damage the past year and especially winter has done inside and outside. Getting in on that information early means handling problems before they become disasters. Now that all that’s done, you need to look at how you can prevent the amount of clutter and mess that accumulates during the year. If you had the habit of tossing stuff into the hallway closet or basement, make a little sign or note to remind you not to do that. After a while, you’ll notice that you don’t have that much more to clean up and worry about later. Overall, Spring cleaning and home cleaning can be lots of fun. A sort of adventure that everyone can take part in. Contact European Maids Cleaning Company for a free quote for home cleaning or spring cleaning. It’s that time of year when we have to do a thorough inside and outside cleaning to get rid of the stacked up dirt and grime and weather damage of the winter. Folks who live in the winter states undertake this traditional activity and it’s a job that includes the entire family. To get the job done calls for planning and getting the right materials from the start. No nee d using the same worn out brooms, mops, sponges, and rags you’ve used the past year, no, you need to get new materials and plan things accordingly. Pets get older during the winter months and we can’t always keep up with them. Same goes for the children. There might be hidden spots where toys, food, dragged in critters by the cat, can get stashed and cause damage. First of all, get the new brooms, bags, cleaning solutions. Look for any new products available that are good and safe. Often companies will upgrade their products or new products will hit the shelves. Using the tried and true solutions like vinegar and ammonia and so on from brands you trust are the foundation of your assault on the dirt and grime. Vacuum cleaners have to be cleaned from head to nozzle. Filters must be fresh and clean. Same goes for steam cleaners. Get the ones that have the right temperatures. You’ll need to be able to get rid of things like flea eggs and other insects and their leavings. Many steam cleaners can reach temps of over 200 degrees and that should be more than efficient. Home cleaning might call for hiring a professional. There are many services available for this and these companies specialize in not only cleaning the home or office. They’ll lay down a battle plan with you to ensure you get the deep home cleaning without damaging your home and possessions. Actually, you can do a good job of cleaning yourself and then have the cleaning company come in to mop things out. Spring cleaning needs not be some daunting task that is rife with misery and woe. It can be a real family fun time and teach the kids about responsibility and get them prepared in life for living a clean life further on. With mom and dad pitching in, the kids will see how important working as a team can be. One might even put some pet socks on the dog that have become popular and have the critter walk around helping to sweep the linoleum. Once you’ve done the cleaning take pictures to see how well you’ve done. Actually, take pics and video from beginning to end. This will keep a record of what was done and can be used for reference later.